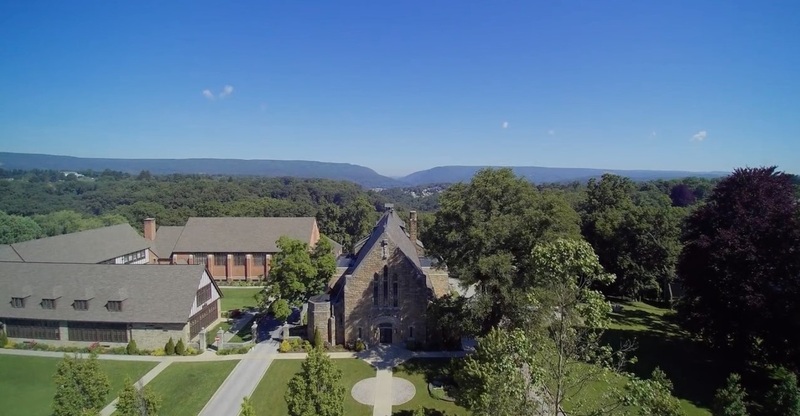 Currently, the Nursery is serving the 11:00 AM Mass each week. I am so excited to provide a loving, safe environment for Parish young ones! I just completed the RCIA program here at OMOS and am currently helping out with summer Alpha. Becoming a member of the parish and getting involved has become so important for my own family. As a mother of two, I understand that it can be difficult at times to truly focus on the Mass. Opening the nursery for the SundayMass will allow families the opportunity to fully engage in readings and the homily. A little about me, my children both attend Divine Mercy West. They will be going into kindergarten and 5th grade next year! I love to paint and build things. As a family, we love attending their sporting events, going camping, hiking and kayaking. I work as an x-ray tech and also sometimes cook at Clarks. I am looking for volunteers for the 11:00 Mass! Please contact me for more information if you are interested! 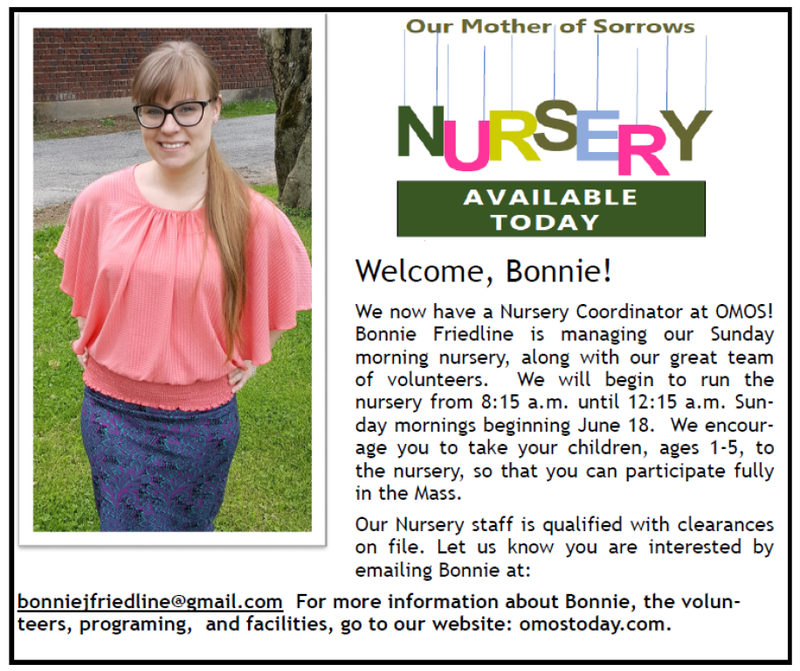 Our Sunday morning Nursery is available for the 11:00 a.m. The Nursery is located in the preschool room in the school - just follow the signs! The entrance is through the school hall doors located next to the driveway between the church and school. We are happy to accommodate you without reservations, but if you know which Mass you are attending on a regular basis, please fill out our form so that we can have your information on file.